Midsize sedans have been around for a while. The 2017 Chevy Malibu vs 2017 Honda Accord have a lot of history under their respective belts. Both are from well-known manufacturers, and both receive good reviews across many different car-review sites. However, there are some key differences. Although close in price, the Malibu ends up coming in at a price that’s nearly $1,000 less than the Accord. Plus, the Malibu has a lot of safety and technology features the Accord misses out on, and the Malibu is offered with updated performance technology, thanks to its engine options. The Accord’s optional V6 engine provides slightly outdated performance, and is generally stuck in the past. The Malibu is just the all-around smarter choice when it comes to mid-size sedans. Chevrolet constantly surprises readers when they realize just how far ahead of the game the bow-tied brand is when it comes to the safety features offered on its vehicles. While both the 2017 Malibu and 2017 Accord received overall 5/5 star NHTSA government safety ratings, the Malibu really shines because of the abundance of advanced, active safety features it has. It has up to 11 options total, some of which the Accord is unable to offer, and the Malibu even has a few more tricks up its sleeve to outclass the competition. First it’s important to note that both the Malibu and Accord have adaptive cruise control, but the Accord’s is rumored to be overly sensitive, which makes using it a painstaking prospect. Drivers report that the Accord’s cruise control will stop and slow down when the situation doesn’t warrant it. Chevrolet’s active safety features are more refined than Honda’s. nStar Automatic Crash Response is Chevrolet’s answer to an uncomfortable and troubling question: what happens if you’re in an automobile collision, and you can’t call for help? If you’re in the Chevrolet Malibu, the Automatic Crash Response system’s sensors will detect a collision and alert an OnStar Advisor, who is then immediately put in contact with you through the Malibu’s in-car system, and will ask if you need help. If you do, or you are unable to respond in a timely manner, then the Advisor will send emergency services to your location. That way, you have help on the way no matter what. Another feature the Malibu has but the Accord lacks is Rear Cross Traffic Alert. This is a system that uses sensors similar to the ones used by blind spot monitoring, and is able to tell the driver if there are any vehicles or other objects about to cross behind the vehicle from either the left or right side. Helpful in crowded parking lots when trying to back out of a space, or when backing out of your driveway onto a busy road. Let’s start off by talking about the fuel-efficiency of the 2017 Chevy Malibu compared to the 2017 Honda Accord. The standard fuel-efficiency of each gas-powered model is 27 mpg city/36 mpg highway (Malibu) and 26 mpg city/37 mpg highway (Accord). Which means if you’re looking to squeeze every last drop of fuel for savings, both of these models appear tied. Well, unless you’re looking for the best standard fuel economy. In which case the Malibu wins at 27 mpg city/36 mpg highway standard. Whereas the Accord (which has a manual transmission equipped standard) comes in at 23 mpg city and 32 mpg highway. By no means is the difference in fuel economy between the two standard models negligible. That extra 4 mpg city/4 mpg highway isn’t something to sniff at, and will translate to a decent amount of savings over years of driving. For possible best fuel economy, the Malibu ties the Accord. Let’s talk about engine options. Standard on the Malibu is a 1.5-liter four-cylinder DOHC engine with a turbocharger, direct-injection, and variable valve timing (VVT) that produces 163 horsepower/184 lb.-ft. of torque. The 2017 Accord has a standard 2.4-liter four-cylinder 185 horsepower/181 lb.-ft. of torque, meaning the Accord will, to its credit, be a little peppier in the low-end during acceleration, but not by much. 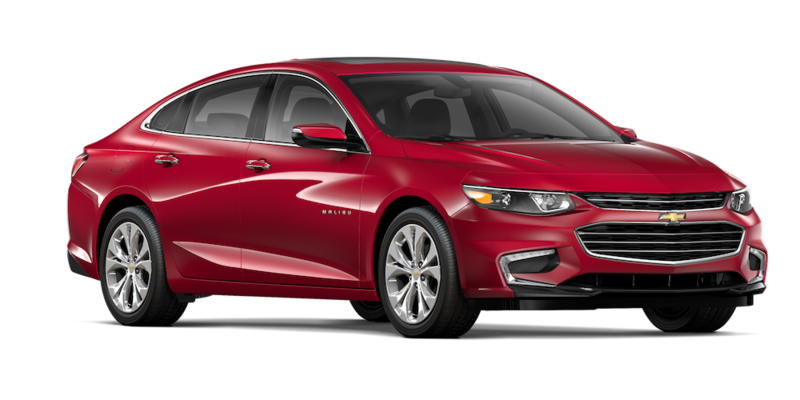 The optional engine choice for the Malibu is a 2.0-liter four-cylinder DOHC engine with a turbocharger, SIDI and VVT that produces 250 horsepower/260 lb.-ft. of torque. 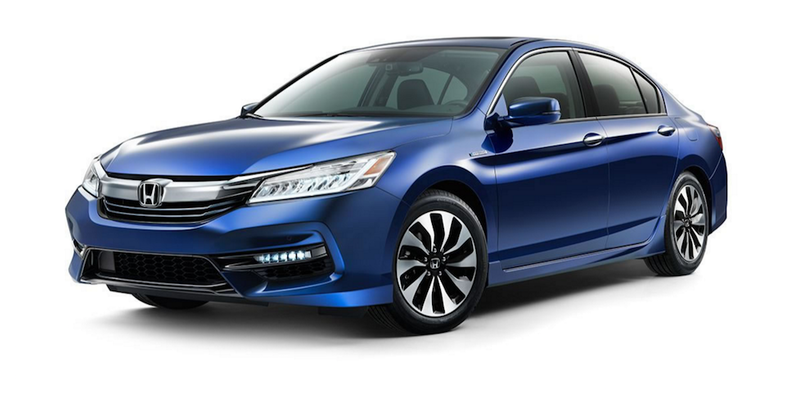 The Accord has a 3.5-liter V6 engine that produces 278 horsepower/252 lb.-ft. of torque. Sounds nice on paper, but the problem with the V6 engine is it gives the Accord “old-school” engine performance when you step on the gas pedal. Unfortunately, in this case, old-school also means outdated, given that it lacks the SIDI and DOHC seen on the optional 2.0-liter four-cylinder engine. Do what you will with this information, but if you’re looking for best standard fuel economy and modern performance, there is no question that the 2017 Malibu bests this year’s Accord. The 2017 Malibu also has a few additional technology features when compared to the 2017 Accord. Perhaps the most exciting feature is the available built-in 4G LTE Wi-Fi hotspot, which is also supported by OnStar. This Wi-Fi hotspot will be able to provide you with stable connectivity (for all your passengers) to Wi-Fi that’s supported by 4G LTE. You’ll have a secure and lightning-fast connection, especially when compared to using your own data. Not only that, but since the hot spot uses its own data (which you’ll end up buying), you’ll be saving your mobile data for when you need it most. Even if you need to pay for data on the hot spot, it’s still cheaper than using the mobile data on your cell phone. Teen Driver Technology is also available, and is a suite of features rolled into one that are meant to promote good driving habits for your son or daughter — even when you aren’t in the car. All you need to do is set a PIN, and you’re able to determine certain limits and parameters on the vehicle, such as controlling the audio level, or to notify you if the vehicle goes over a predetermined speed or distance. All of this is done on the touchscreen display, and you can view information on the trip’s report card, like the distance the vehicle traveled, how fast it went, if any active safety features were initiated, and more. A couple of less impactful, but still fun, features include a Bose nine-speaker sound system, available to provide you with that legendary high-quality and crystal clear audio that Bose is known for. 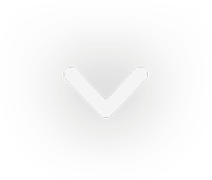 A rear-seat reminder feature is also present, and is there to ensure that you don’t forget anything in the back. 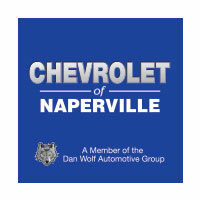 While the last two might not seem like significant technological advantages to you, they represent Chevrolet’s willingness to always stay ahead of the competition in one of the hottest, endlessly competitive, and ever-evolving fields in the automotive world: technology. The Malibu’s clear advantage over the Accord is evidence of that. However, the Accord does have quite the impressive arsenal of standard features on its base trim. The advantage of the Malibu lies in the fact that it simply has more unique features across the board.